The prize pack includes: one tote, 2 jumbo book marks, 2 signed bookmarks, 2 tattoos, 3 pencils, 1 mouse pad, 1 calendar (filled with illustrations by Robert Immings), 1 pen, 3 magnets, 2 keychains, 1 signed paperback copy of Dragon Wars, and a $20 Amazon Gift card. Enter the giveaway below. 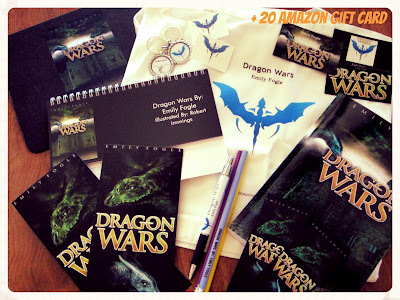 Dragon Wars by Emily Fogle is an amazing adventure from start to finish. If you love a good fairytale this is the book for you. Amazing imagery explode from each page of this book. 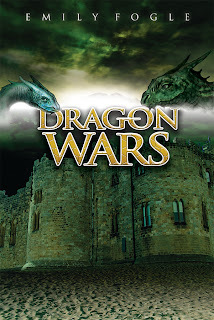 Life is filled with changes, but sometimes even the most tragic events bring joy in the end, which is something Danny Warren learns when he joins the Dragon Wars. Danny sadly loses his father in a hit-and-run auto accident and is forced to move to a different town. But his fresh start is a horrible one and Danny desperately wants to find a world he can belong to. One afternoon, after a particularly hard day at school, Danny finds a mysterious box hidden inside his window seat. He soon discovers that the box is his portal to Dorcian, the dragon world. Sadly, the once amazing world is in utter turmoil, and its inhabitants are suffering. Danny finds the one thing that can bring meaning and happiness back to his heart: saving those that desperately need his help. 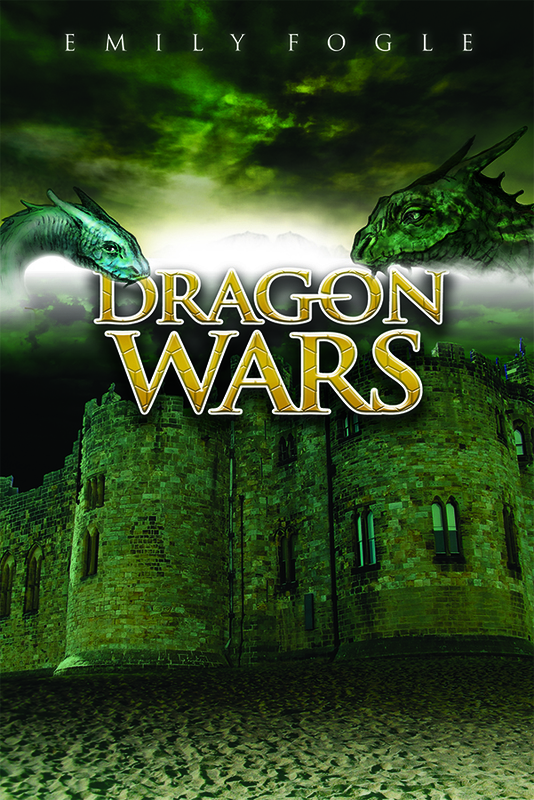 Together, one boy and six lone dragons, will defeat evil and wage the Dragon Wars. And, in the midst of it all, Danny will discover that even the smallest person can make a huge difference when it matters the most. A GWR Publicity promotional event paid for by Anchor Group Publishing. The giveaway is sponsored by the author.